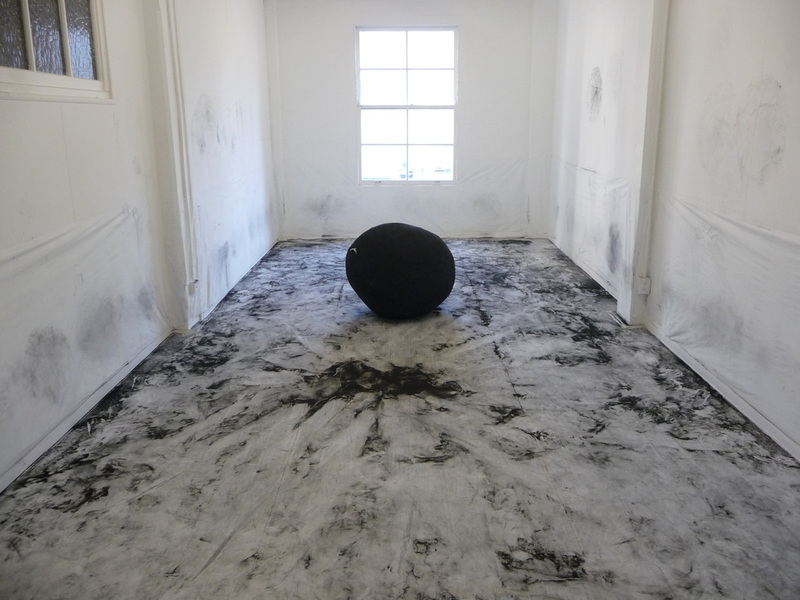 Full Stop was a participatory work where people could physically engage with a large sphere covered in charcoal. This could be moved about the space ‘drawing’ onto the surfaces of the entirely white gallery. 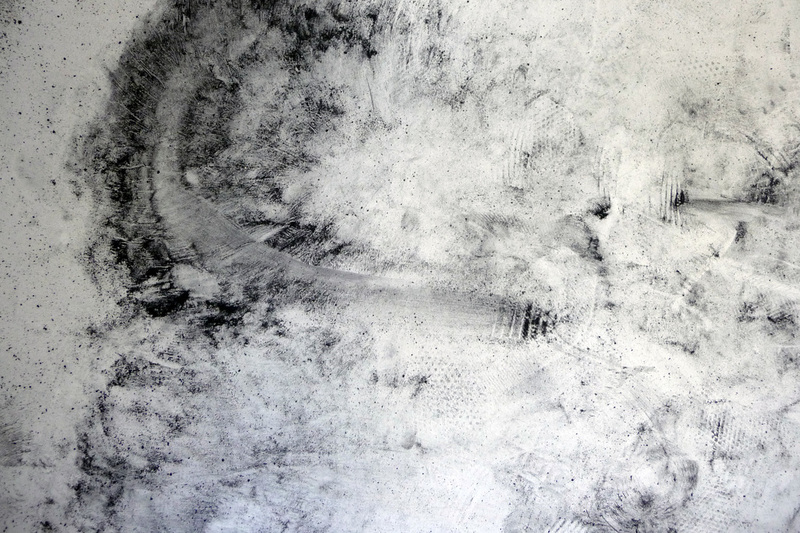 The work developed out of an interest in the idea of drawing as score, as an event to be realised or performed, in order to create an instance of social interaction and creative production. 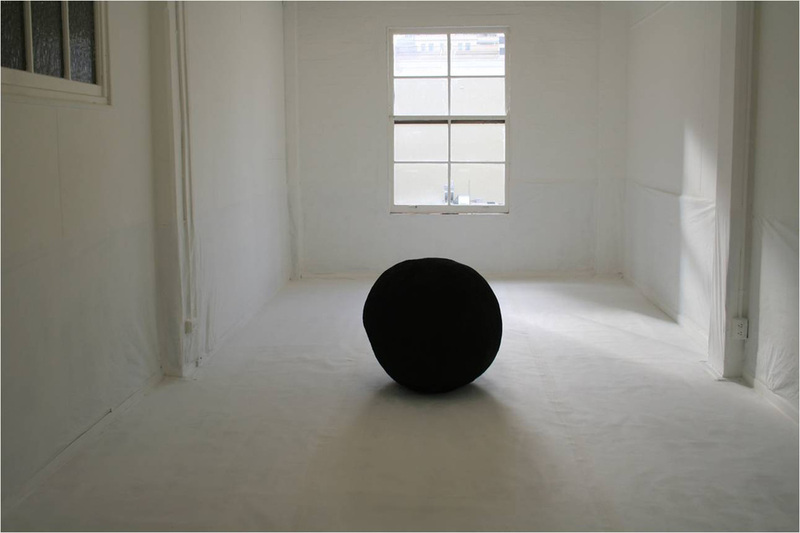 The images are of before, during and after the audience activated the work over a three week period.